The “affluenza” case struck a nerve with the American public – even the most devoted proponents of criminal justice reform decried the decision. Ethan Couch wasn’t your ordinary 16-year-old troublemaker. Back in the summer of 2013, Couch got behind the wheel of his dad’s truck after drinking alcohol, swallowing Valium, and smoking marijuana – a joy ride which ended in carnage when Couch rammed into a stalled SUV at 70 mph. The impact killed four people and paralyzed his passenger for life. Couch walked away relatively unscathed. The judge seemed to buy this argument, and ultimately decided that ten years’ probation and a stint in rehab would be punishment enough. The lenient decision provoked national outrage, and the infamous “affluenza defense” was widely mocked as a farce. Critics argued that not only was the light sentence unfair to the victims’ families, but it wouldn’t come close to teaching the teen a lesson. Ethan Couch was released from jail earlier this week after serving two years for violating his probation. They were right. Just two years later, a video surfaced of Couch playing drinking games and merrily consuming alcohol – a violation of the terms of his parole. After fleeing to Mexico, Couch was eventually extradited to the U.S. and forced to serve four consecutive 180-day sentences – one for each person killed. Earlier this week, Couch was released from a Texas county jail after completing his sentence. Many supporters of criminal justice reform argue that locking up young people for long periods of time places them in a vicious cycle from which it is difficult to escape. However, something about the “affluenza” case struck a nerve with the American public – even the most devoted proponents of criminal justice reform shook their heads at the decision. Perhaps it was the carelessness of the crime, or a sentence that didn’t come close to matching the incredible harm that had been done. Or maybe it was the audacity of the legal argument that Couch should be given a break because he was, essentially, a spoiled brat. Money has always been a helpful tool for avoiding harsh punishment, but it’s usually used to hire a good lawyer – not as a basis to excuse a deadly crime. How Should We Treat Young Criminals? 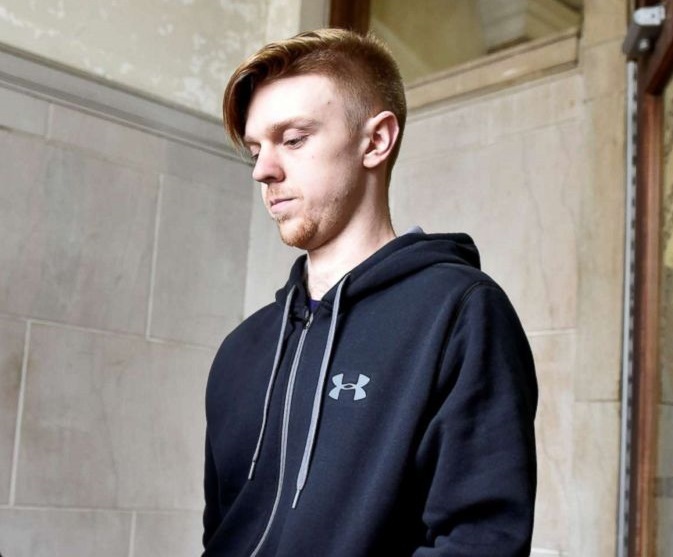 The story of Ethan Couch and his purported “affluenza” didn’t just anger people, it also sparked a national conversation about the proper way to handle juvenile crime. Should young people who make serious mistakes be eligible for reduced sentences? At what age does one become fully responsible for a crime they commit? Letting a spoiled teen avoid serious punishment because of a supposed psychological disorder brought on by extreme affluence doesn’t seem like a great precedent to set, but that doesn’t mean there aren’t other areas for real improvement which could be targeted. Some have argued that America is suffering from a generation of entitled children. If these young people end up breaking the law, what’s the best way to respond? Is there a place for compassion for forgiveness – even for serious crimes – or is harsh punishment the best way to get the message across? Incarcerate him, in a low end prison. It will definitely improve, his people skills. He should be treated like any other drunk driving murderer. His affluence should not have saved him but should have shown that his parents had the means to raise him right. Take away his money and hold his family accountable. I once worked in the Criminal Justice System, for about 25 years, and have seen all categories of sentencing. He should have gone to prison for killing people. What is your value, for human lives? How do you hold his family accountable and under what laws? A little prison life might do him some good. If he’s old enough to commit adult type crimes, he’s old enough to receive adult type punishment! He should rot in jail as a minimum sentence! OMG seriously we are giving rich brats break because they weren’t taught rather bought? Ummm is a kid is average or poor income they must pay the price of their crime which of course is correct but if you’re rich you are felt sorry for because no one taught you better????? This is a sick as anything I have ever heard . I hope this Man has Karma kick him right upside the head several times until he gets the point he is not privileged and he does not have rights to break the law. G9d help us all! If ya got enough money in the U.S. you can get away with anything – it’s as true now as it’s always been. It’s long been said that the US has the best justice system that money can buy. Exactly! I grew up in an upper class family, because my parents busted their backs for it. Yes, I had a few things that my friends didn’t have, but I still knew right from wrong. I don’t know because none of the hundreds of articles mention it, but I was raised in a Christian family and was always very involved with our church; maybe, he was not. Christianity was not mentioned in “hundreds of articles” because it is not at all definitive to morality. Basically irrelevant. There is a moral structure to all beliefs and philosophies, not just yours. This person is obviously devoid of any strong conviction, whether it be christian or otherwise. Yes, there seems to be a lack of foundation there, but again do not see how christianity in particular would have instilled mindfulness or morality any more than a foundation based on another philosophy. All I can say is he had one heck of a lawyer to come up with the excuse. Had it been anyone else they would be in prison for life. 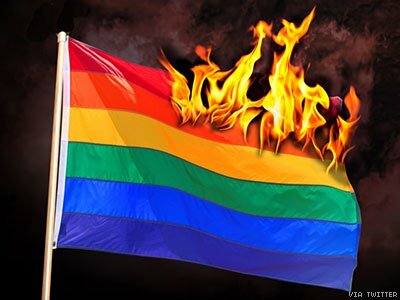 I can only imagine what the families of the deceased are going thru, something so stupid, so uncalled for, so innocent for those people to be killed and yet the law allowed a very revolting excuse to be justified! Yes, ALL justice is blind indeed. But money talks and you know what walks. Prison, serving 1 lifetime for every life he took. It has become painfully obvious that the justice system has become corrupt and broken. Recent current events only strengthen that position. He must complete a life changing; very long sentence. He has shown by his actions that he is a sociopath. He is not remorseful, and he may never be remorseful for the lives that he destroyed. There are some that must be removed from society, for the good of society. Set free; he will destroy lives again. That is what sociopaths do. So if one takes all kinds of drugs, commit reckless actions against our fellow man, Kill if need be (who cares). He was never taught? Protecting stupidity is a crime in its self. Jail the parents for committing a crime of failing to use a condom or teach the brat some consideration / respect for others rights to exist. Deal with him swiftly and hard. Additionally, hold his parents equally responsible and accountable. They are responsible until this boy is of legal age. Eh, kids make dumb mistakes. I say let him do some community service and call it good. Look him up on YouTube, I saw a Dateline or 20/20 program about his story and court case……it was horrific to even watch, to hear the victims tell their side of the story…..this article doesn’t tell you that he either hit a disabled vehicle leaving a church function or there had been a minor accident and the vehicle was stopped alongside the road when at 70mph he plowed over them and killed the church’s Pastor who passed away in a ditch while his son also in the vehicle watched helplessly…..it also doesn’t tell you he ran over 2 women (mother and daughter) killing them cause they had stepped outside their home to help the church vehicle!! It doesn’t tell you that he only lived a few houses away ALONE because his parents had bought a bigger house and had already started living in it all while letting a high school student supervise himself!! It doesn’t tell you that his mother was aware of his drinking problem so she bought his alcohol for him so he would stay at home to drink…until you supply all your friends at a huge party and need to leave stumbling drunk to go buy more cause mommy wasn’t home!! It doesn’t tell you that there were sober people at the party and even sober people in the vehicle with him, but he wouldn’t let them drive because he didn’t want his $30,000 truck messed up!!!! I was just shocked and furious when the show ended!!! Rich people are not treated the same as someone who is poor. Not shocked. I would suggest that not only the rich suffer from “Affluenza”. It could be argued that many of those in government have it as well. We’re close to repeating what Rome had going in it’s final days. Live long enough and you will see history, repeating itself. I am almost 70 years old and I have seen much in life. When people are infuriated with the political system, the judicial system, and the law enforcement system, they become vigilantes. It is difficult for law enforcement officers, to make a legal case, when no one is willing to talk about a crime. I can’t believe i get politically correct SJW articles from a ministry email. Really? Choosing sides are we Scammer Ministries? Obviously trying to make an buck off current socio political climate I assume. How about running articles about pedo-empire Hollywood and it’s shadow-partner the Catholic church?